Grout can be a pain. A real frustration. No matter how hard you try it just won’t stay clean, come clean, or return to that original appearance. Dirty grout can really affect the aesthetic of a room or space. You could have the most immaculate kitchen on this side of the Mississippi but if grout lines are stained it can detract from the rest of the décor. A cause of embarrassment and frustration. GOOD NEWS: There is an answer, and like all things difficult. Once you understand what is happening the solution is easy and obvious. In fact, we can restore a uniform clean appearance that will not stain and be easy to clean without dust in less than a day. You just need to right understanding, tools and products. We got all of that for you. We just need your approval to get started. Your problem is NOT your cleaner (though it may very well have contributed to creating the problem). Your problem is that your grout seal has failed or was never installed. Grout is extremely porous. It must be sealed inorder to keep water and the dirt it may be carrying out when we clean the floor. Ever seen concrete darken when it starts to rain? That’s what is happening to your no unsealed grout. Good news we can fix this BUT we have to address two preliminary issues first. First, we need to know what damaged the grout so we can halt the true root cause. Generally, if the grout has been sealed, the issue is the introduction of an acidic tile cleaner. In fact, that cleaner probably says tile-safe, but did you note it did not say grout-safe. Think that was an oversite? The acid in the cleaner will attack your seal and the dyes in your grout destroying both. 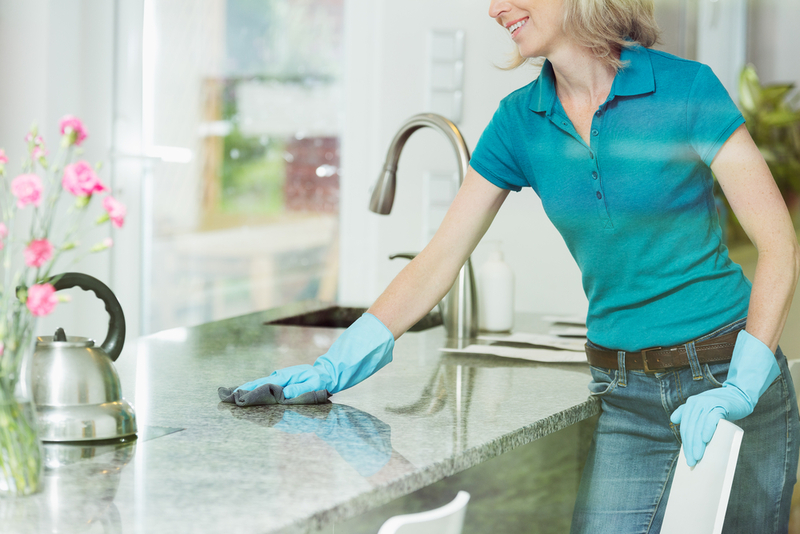 Ever note how vinegar tends to lighten your grout? Many people confuse this with “starting to get clean” when what has really happened is that the dye has been broken down and resulted in a lightening of your grout. Bottomline, lets take a look at that tile cleaner label. 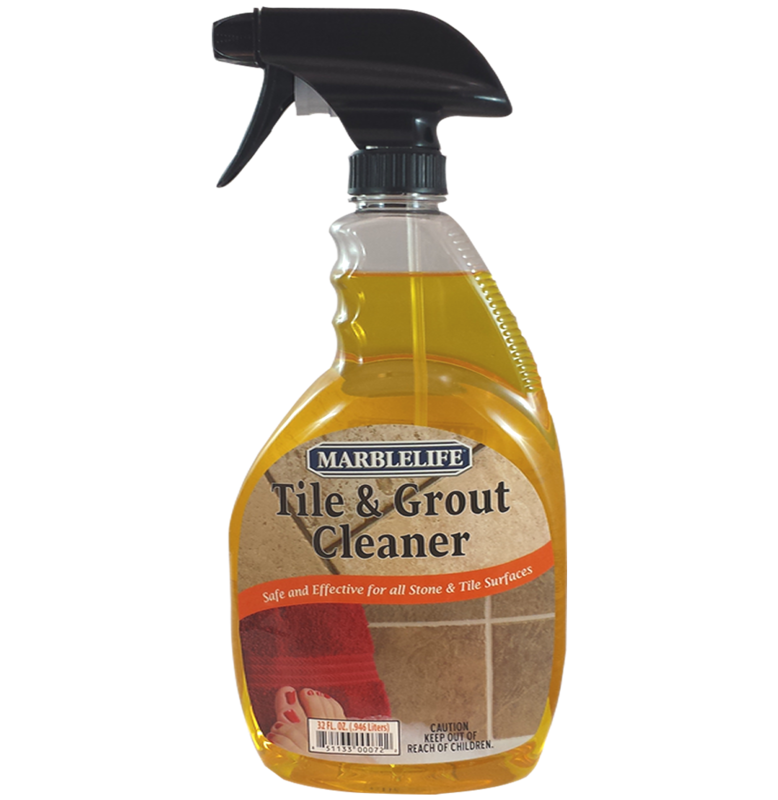 MARBLELIFE Tile&Grout Cleaner and MARBLELIFE Marble & Travertine Cleaner are designed to clean, that’s why you need MARBLELIFE COLORSeal. MARBLELIFE COLORSeal is a proprietary MARBLELIFE process which addresses the causes of discoloration and then re-enfuses your grout to restore its original color or a new color one of your choosing. With over 250 color options, coordinating with your room décor is a breeze. Most people just want to get it back to clean, but this technology can also be used to re-accent your room, introducing a splash of color to match the new bathroom towels or wall paper. MARBLELIFE gives you the power to redecorate without tearing out your tile floor, eliminating dust and lost time. Most projects can be turned around in less than a day. The key to any long-lasting seal is starting with a clean slate (or tile lol). 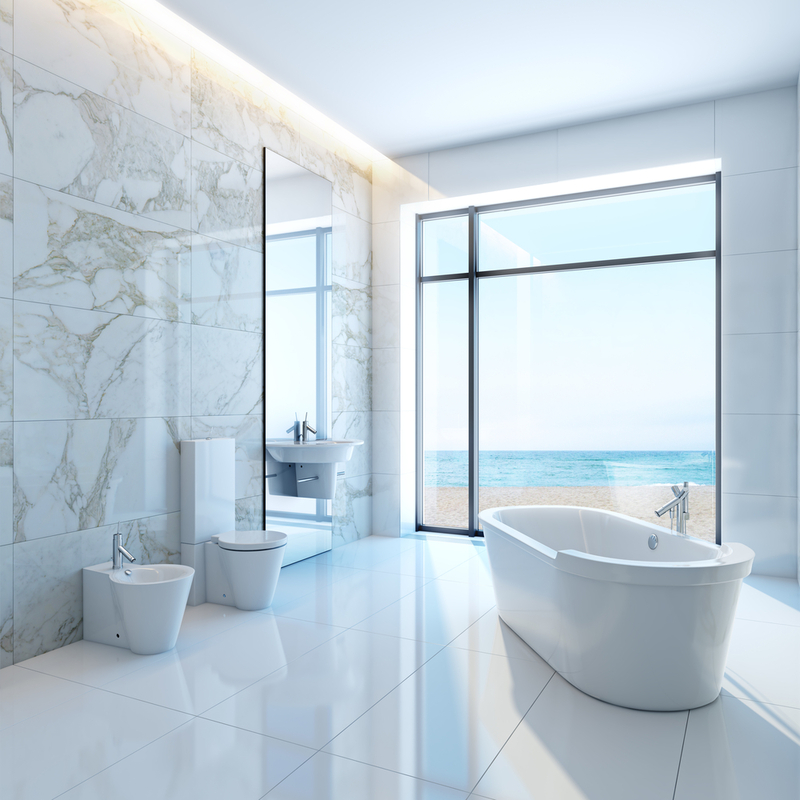 The presence of dirt would block the interaction between the treatment and your grout, so cleaning to remove loose dirt and oils is an essential first step. Agitate is stone-speak for intensely scrubbing grout lines either mechanically or with the use of contained high pressure water system. This allows the cleaner to penetrate deep into the pores of the grout, pulling out any oil and grime that may have been absorbed or could block acceptance to the treatment. During this step we will address the presence of any remaining seals, as we need to re-open the grout to accept the MARBLELIFE Colorseal to ensure a uniform final appearance. The particulate matter and remnants of old seal broken up by the agitation are emulsified by the cleaner are extracted. The grout is now ready to accept its new seal and color. MARBLELIFE Colorseal is brushed into the grout lines to re-color and re-seal your grout. This time however, we are employing an acid resistant seal designed to handle acid spills or acid cleaners should they be re-introduced without breaking down the seal. This is one of the key advances. By understanding why your grout failed in the first place, we can and have engineered a solution which will provide long lasting appearance protection even in the presence of acid attack. By retaining a solid seal we halt the possibility of a future staining or discoloration (and it is walk-ready within 10-minutes!). Your floor is walk ready in 10 minutes. If you have any questions about MARBLELIFE COLORSeal process or any of our other hard surface care treatments, please contact your local MARBLELFE office and one of our knowledgeable stone craftsmen will be happy to assist you.